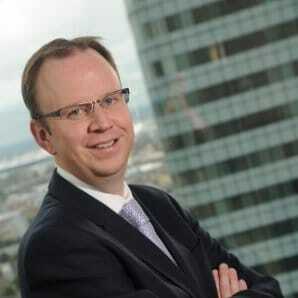 Instinet Europe has elevated longtime executive Richard Parsons to serve as its next CEO. Instinet LLC, the equity execution services arm of the Nomura Group, has announced its latest senior appointment, tapping Richard Parsons as the newest Chief Executive Officer (CEO) of Instinet Europe Limited, pending requisite regulatory approvals, according to a Nomura statement. The announcement at Instinet is the second major move this week, after Mark Govoni was named as Instinet’s President on Monday. Mr. Parsons steps into his new role after serving at Instinet for over fourteen years. In his new position as the CEO of the European unit, Mr. Parsons will be succeeding the active CEO, Adam Toms, who is relinquishing his role to pursue other interests. Prior to the promotion, Mr. Parsons worked as Instinet Europe’s Head of Sales & Trading, a position he has held for several years, having originally joined the group back in 2002. Additional stops also have included E & D Asset Management and equities specialist Gartmore, part of a lengthy career extending to 1993, according to information made public on his Linkedin profile. “Under Adam’s leadership, Instinet’s European franchise has ranked first in customer order book volume on the London Stock Exchange and now ranks in the top three for European customer business. The market landscape will continue to change dramatically in Europe ahead of MiFid II. I firmly believe that Instinet is particularly well positioned to serve clients as a leading agency execution broker,” reiterated Mr. Parsons in an accompanying statement.